I hope you're having a fabulous weekend. Are you? 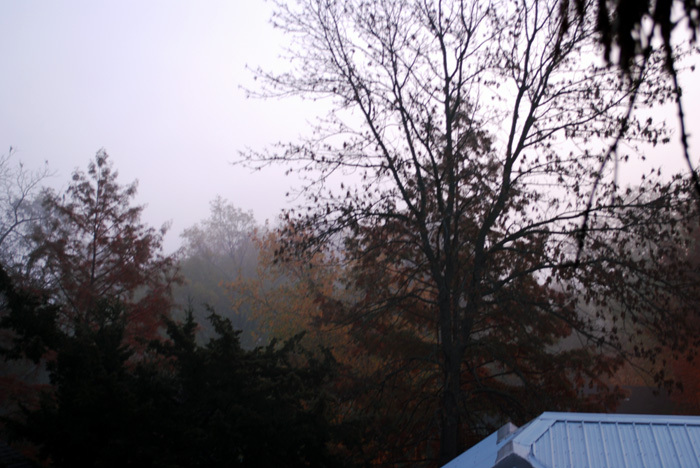 It was foggy early this morning which nestled the autumn leaves into layers of color and texture. I just had to make biscuits this morning so I could taste Alicia's pear butter. It's delicious. I could eat it right out of the jar. It causes me to remember the apple butter my grandparents made yearly using the apples from the tree in their backyard. Yum yum. You just can't beat homemade. Oh, Rachel posted her polaroid wall that I mentioned to you Friday. It's so sunny and warm here today. A perfect day for a long walk and taking some pictures of remaining pockets of autumn color.